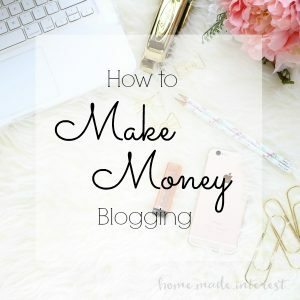 How to Make Money Blogging - Home. Made. Interest. How to Make Money Blogging with ad networks, sponsored posts, and affiliate links. Hi all, today we’re taking another break from recipes and crafts to continue what we started with our How to Start a Blog post last week. If you’re not looking to start a blog or make money blogging you get a free pass today, but make sure you’re back next week for more great recipes! 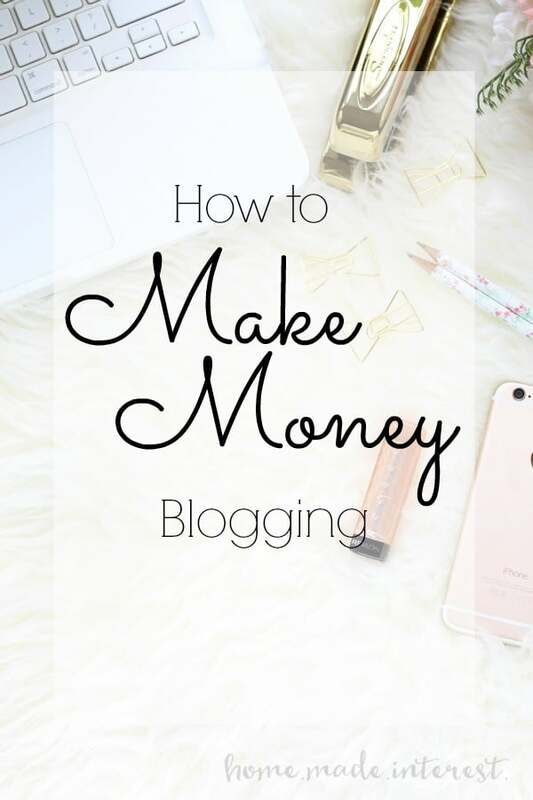 If you already have a blog, or you are considering starting one, and you would like to know how to make money blogging we’ve got some tips on how to monetize your blog. Melinda and I started blogging in March of 2014 but we didn’t start monetizing until October 2014. Now that we look back on it we wish we had taken the plunge earlier but we held ourselves back because 1) We weren’t sure how to get started and 2) We were so obsessed with pageviews and worrying that we weren’t “big enough”. Let me tell you something guys, while pageviews matter, they aren’t the bottom line. Sponsors take lots of factors into account and pageviews is only one of them, so take the plunge and don’t hold back because you’re worried it is too soon. The worst that can happen is you won’t make any money…but that’s definitely going to happen if you don’t try at all. Here is a look at our stats for October 2014. I hesitated to show this because it wasn’t the norm for us at the time. We had a post blow up on Pinterest and StumbleUpon in September and that’s where about 50K of those pageviews came from. So, at that time, without our viral post, we were averaging about 30K pageviews a month. We had attended a Bloggy Bootcamp conference in Philadelphia in September and listening to all of those talented ladies speak gave us the courage to apply for our first sponsored posts. In October we were accepted to 4 sponsored post campaigns and some paid social media campaigns. We made our first $550 ! In the next three months we finished off 2014 with a total of $2200. This year we worked hard on exploring all of the avenues for income that were available to us and in the same three months (October, November, December) in 2015 we made $17,000. For the whole year we grossed over $45,000. Not too shabby for our first year monetizing and being a few month’s shy of our 2 year blogiversary! So, let’s talk about how we earn money with the blog. There are three main sources of income: Sponsored Posts, Ads, and Affiliate links. Right now this is where we make the majority of our money and we have learned so much working with various brands over the last year. There are a couple of ways to get into sponsored posts. Pitch Brands on your own. We haven’t started to do this yet though this is a 2016 goal for us. When you pitch a brand yourself you send emails and work with sponsors directly on a paid campaign. Work with Influencer Networks. These networks go out and do all the work of finding and pitching a brand for you. They develop the campaigns and then they reach out to their network of influencers (that’s you!) and recruit people to write sponsored content. This content could be a whole blog post plus social media, or just social media. There are all kinds of opportunities out there you just have to keep your eyes open. Social Fabric/Collective Bias – I don’t believe they have a required number of pageviews to join so go sign up and start checking out their campaign offers. They have one of the better systems out there and you can look through their campaigns and see what is the right fit for you. We work with them consistently and we have a met a lot of great bloggers through them. Clever Girls – We love working with Clever Girls, they were one of the first campaigns we did and we have been working with them ever since. They have a system that makes it simple to see what they have to offer and they give lots of lead time for blog posts so you don’t have to scramble to get it done on a tight timeline. They also offer a lot of social media only campaigns. They have several requirements for being accepted including a minimum of 10,000 Monthly Impressions (which can be pulled from Google Analytics’ “Sessions”), and you have to have been blogging for 6 months. TapInfluence – This is an interesting one and we have had a great experience with them so far. TapInfluence not only reaches out to influencers for sponsors but they also allow brands to sign up and use TapInfluence’s website to reach out to influencers on their own. While Clever Girls and Social Fabric post campaigns with a set amount of money TapInfluence let’s you set your price in your profile. Companies can offer less (that has never happened to us) or more but usually the offers go by the price you have set. It is possible to negotiate so if a campaign requires a little more work you can always write back to them with a different price but they will have the option of saying no. Linqia – This one is a little different. Instead of writing a blog post for a set amount of money Linqia offers you slightly more than the average post (at least when you are starting out) and gives you a way to increase that amount. The catch is you have to get a certain number of clicks on a link that they provide. It is a little nerve-wracking in the beginning but once you get used to it and work out some ways to get those clicks it is pretty amazing. We did several posts for them over the holidays and the pay was amazing. Some people love Linqia, some people don’t, I highly recommend you try them out and see what you think. Massive Sway – This network is part of The SITS Girls community that hosts Bloggy Bootcamp. They are a wonderful group of ladies and Tiffany Romero is such an inspiration to us. If you have a chance to hear her speak make sure you do it! This was the network we got our very first sponsored post through. They don’t have quite as many offers that work for our blog BUT they do tend to pay better so it is worth it to sign up and give it a try. Izea – We mostly do paid social media campaigns through Izea but we have done a few blog posts with them as well. The great thing about this system is that you get to view campaigns and submit a bid, so you control your price. They have lots of new offers popping up all the time so make sure you check back often. Blogher – We only do social media paid campaigns with Blogher but they do have sponsored post opportunities. Just make sure that you read through all of their requirements before you decide which kind of opportunity that you are eligible. They pay pretty well for social media and they have a nice system so we really enjoy working with them. Pollinate and if you don’t meet their criteria they have another network that requires less pageviews Weave Made Media. Tomoson (this is a really interesting site where you can review products). This isn’t a complete list so keep your eye out for other networks! The best advice we can offer when starting to apply for sponsored posts is give detailed pitches. The person reading your application is also reading tons of others, so make sure you stand out! Also, work on your photography. Every campaign manager I have ever talked to says they look for good photos on old posts to get an idea of what they can expect from you. Last, but most important, stay true to yourself. Melinda and I discuss every campaign before we apply and we always want to stay true to what our blog is about and what our readers might be interested in. If we have a moment of doubt then we pass. Other offers will come, our #1 priority is keeping our readers happy. When you’re starting out you’ll have to make the decision on whether or not to put ads on your blog. Look, I know none of us like ads on websites but blogging isn’t easy and we all deserve to get paid for our work. Ads are a simple way to earn income without having to do anything but focus on making great content so people keep coming back to your site. In the beginning you’ll have to go with Google Adsense and do it on your own (unless you are lucky enough to know someone who is good at Adsense ads and can do it for you). Ad networks come into play when you start getting your pageviews up. They manage your ads for you and take a percentage of your earnings as payment. That viral post we had in October 2014 wound up giving us the 80K pageviews in a month that we needed to get into The Blogger Network (TBN). I totally sucked at Google Adsense and we never made much off of it so we missed out on so much $$ when we had that huge post in September and October 2014! TBN not only helped us earn more they took that job off of my plate which gave me more time to focus on other things. In 2015 we made a little more than $9K in advertising and that is only going up as we continue to raise our blog numbers. There are lots of ad networks out there but the other one most people talk about is AdThrive. I don’t have any personal experience with them but I hear they are great. I have loved the service I’ve received from TBN and couldn’t be happier. Affiliate links are a great way to earn money and the best part is you can write a post and keep earning money from it for years if you play your cards right. Affiliate links are special URLS given to you a for a product that you can link to in your posts or in social media. If someone clicks and makes a purchase you earn a commission. Melinda and I are working on this but we haven’t come close to mastering affiliate links, so I don’t have a lot of advice for you on how to make it work for you BUT there is lots of advice out there if you just google it. ShareaSale – This is an affiliate network with many well known brands within the network. CJ Affiliate – This is an affiliate network with many well known brands within the network. There are many, many more. Just google a company + the word affiliate and see if they have an affiliate program. Some of the highest paying affiliate commissions come from people selling products, such as fellow bloggers who write books. Keep an eye out for these products and if you have a book you’ve read or a course you’ve taken make sure you check to see if they have an affiliate program so you can earn a little money while you spread the word about it. I think that’s about it. The last thing I want to leave you with are two books that I read when Melinda and I got ready to start making money blogging. 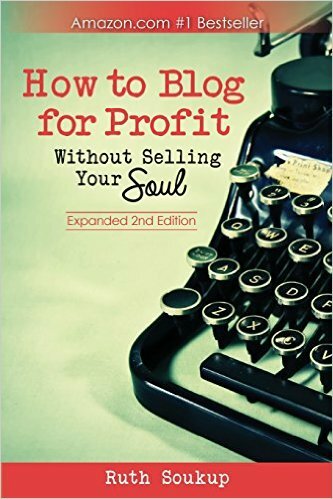 Both books really helped me to understand what options we had for monetizing, and all of the pieces of blogging that were required to really be successful. If you have any questions, or any additional advice please let us know in the comments. We’d love to hear what you have to say! This blogging thing is a continual learning process and we are always happy to share what we know and hear about what worked for others. Next Post » S’mores Popcorn Balls – Movie Night Pajama Party! Great post! Now I can refer to this instead of asking you so many questions! LOL! Thanks for this great information. Thanks, but you know we love talking to you ladies about this stuff :)! Hi Kat, I’ve seen this info presented in bits and pieces in several places, but your post was so cohesive and informative. Thanks so much. Thank you!! I searched and searched for stuff when we were getting started so I was trying to put everything I wanted to know in one place. Glad you liked it! I found that really interesting reading and you gave quite a lot of info that was very useful. I shall be looking forward to your future posts! 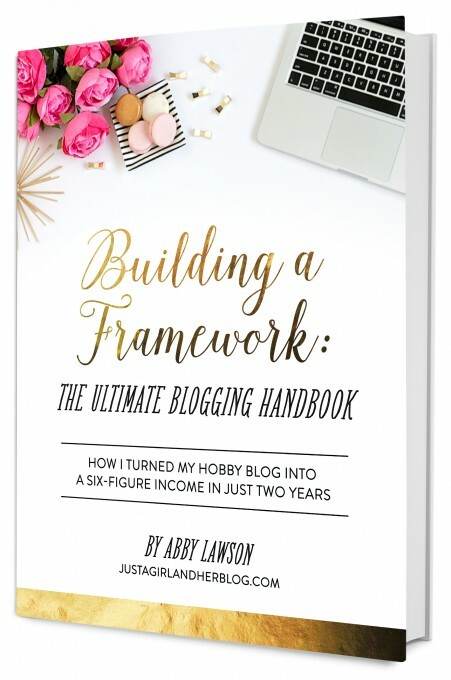 Thank you so much for sharing so many different resources for earning an income as a blogger. This is invaluable. Pinning so I can refer back to it often. It is never too soon to start! Good luck and if you have any questions let us know. Thank you for all the useful information. Great post! I have it pinned for reference. Thank you for the tips! I have not yet forayed into the land of sponsored posts (and am honestly a bit scared to) but will look into the networks your mentioned! Congratulations on bringing in so much income from your blog, it must feel incredible! Don’t be scared you can do it! I feel like we held ourselves back worrying so much about it. Just take the plunge the worst that can happen is you don’t make anything right away. Just don’t give up. If you have any questions once you join the networks just let us know! Thank you so much for all of this useful information! What was your post about that went viral in September of 2014? Also, do you think you could do a post about how you use Pinterest as a blog? I do t even know where to begin. Or is there a book you recommend for that? Hi Melissa, our post that went viral in 2014 was a roundup of fall slow cooker recipes. I was just thinking that I wanted to write something about social media and how we use it so keep an eye out for that one! Thanks Heather. I really tried to write something I would have wanted to read when I was just starting out. I’m glad you found it helpful! have enjoyed your recipes and have several printed to test for the holidays. Thanks for sharing,it seems ur practicing paying it forward. I look forward to ur new posts, also inspired to maybe test out my skills at blogging, love to cook, diy projects and writing is a big untouched passion. Thanks so much Susan! We had so many questions when we started blogging we just want to be as open as possible to help others out :). You should definitely give it a try. It takes work but we love it!